When you get hired to teach somebody one-one, it is probably because the student wants individual attention and lots of conversation and speaking activities. They might even tell you “not to bother preparing, because all they want is conversation”. Well, I advise caution. Private lessons are very expensive these days and we, teachers, should provide the best value for the money our students pay us. Many students only think they need something, but we should know better. Be systematic. Write regular updates about your classes and share them with your students. Establish routines, such as writing out today’s date in words at the top of the page for that day, what the weather is like and how we feel. If you do this regularly, your beginners will pick up this language much faster and even before ordinal numbers/weather vocab come up in the book in Unit 9. Keep track of emerging vocabulary and share it with your student either on paper or via an app. I usually use Quizlet. Encourage students to keep a real paper notebook and take notes of everything you write on the “whiteboard” sheet of paper. Teach them to put a date and a heading for every lesson. Revision. This point is closely related to the previous one. With all the recent talk about the need for smart revising (see, for example, the Learning Scientists blog or this great post) I, too, have started including revision (my pet peeve) in my lessons. I really like the method outlined in Kate’s blog post – last lesson, last week, last month. Instead of starting a lesson with the same old small talk, I come in and as soon as the student puts down their phone and gets ready, I hand them a worksheet: “This is your revision task for today” say I. For one-one students, and I know I sound like a dinosaur again, I usually handwrite the sheet. I still don’t have a printer (green Kamila) and I find that handwriting is much easier and faster than finding time to sit behind a computer screen. While the kids are doing homework, you can pick a piece of paper and jot down a few matching items. You’re no longer hiding behind a screen; you’re doing something that is visible, creative and worthy– almost as if you were chopping wood! Your kids can see it, and your students see it and appreciate it, too. Or maybe not. If it’s not your thing, the computer is always there. But the revision sheet gives you a fantastic and useful warm-up which only lasts 5 mins (as opposed to the official 5-min warm-ups that always end up taking up half of my lesson space) and gets the students on task. I recommend two to three exercises of three to five items each – not more. Last lesson, last week, last month. Unclutter your lessons. Instead of asking about the weekend, ask: “What have you been studying/focusing on in your learning over the past week?” Turn the attention to the learning process. Remember (remember, Kamila!) you are not there to have a friendly chat, but to teach what your students need to learn. Reduce paper. Dictate whatever can be dictated. Both the teacher and the students can be writing in the student’s paper notebook. You can even hand them a grammar book or the book with the audioscript and ask them to work with it – without photocopying it! At the end of the lesson, you just take it back. Nothing will happen. You will not look less professional. I have tons of resource books at home. I take them to class, hand them to the student, use it for the lesson, take it back. One book, one student. Let them take notes if they want to. There has never been a problem. Create threads. If you, like me, do not use course books in one-to-one lessons (I mean, why should you? Your students are paying for a personal approach. Course books may work for group courses, but not for an individual lesson), you want to stick to something that provides some sort of structure. I have had success with book clubs – both teacher and students read a chapter per week&reflect; video channels and set texts (e.g. CommonLit – read more about it here) All these choices can be made by the students and provide a natural and useful structure to your courses. They can also be dropped any time, so if the student gets bored of talking green issues, you can go for architecture. Finished reading Dracula? Let’ move on to George Orwell! Be genuine. Care about your students. If you read something they might like, share it with them. If you’re writing exercises for them, use examples from their lives. I do believe that integrity and genuineness is what creates some of the most amazing teacher-student relationships and enriches both of their lives. These strategies will not eradicate conversation from your classes. There will always be plenty of it because such is the nature of one-one classes. However, they will help your lessons become more streamlined, focused and effective. 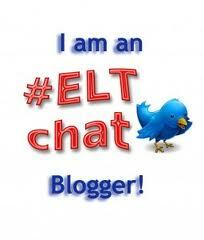 Do let me know of other effective strategies you use for individual lessons and thanks for reading! Thank you for this very honest and succinct post. I spend about 12hrs per week teaching 1-1 classes to adults online and couldn’t agree more with the point about revision. I don’t know why it has taken me until NOW to incorporate revision as a staple in my classes. As I tend to prepare each lesson from scratch in Google Docs, the first header I always paste is “Revision”. I have actually spent a couple of classes where revision turned out to be the main point since we managed to uncover this many issues and doubts. I think I’ve also managed to hit the nail on the head with a couple of uber-ambitious learners I have; they often email me before class to make sure revision is going to take place as they’ve revised and feel the need to test themselves (and show off a lil bit, I assume 😉 ) Long story short, I wish I had been more disciplined to remember to start with revision earlier on in my career. Great post! You reminded me that this was the very first topic I ever blogged about – it was a post for the BELTA blog shortly after I’d arrived in Belgium – but some of the older posts seem to have become unavailable since the blog was revamped so I can’t link to it. I managed to dig the document up and have just been laughing my head off at how stilted the writing sounds; I was totally new to the blogging world and I guess I figured they had to read like a “serious” text. This was in 2013. Anyway, I also had 5 tips. 🙂 I really like the idea of handing the students a book they can copy what they need from and then taking it back. I’m sure the world would not end and they probably never look at the photocopies we give them again anyway (probably not very often). I never used to do that; I don’t think I even considered it as an option because, well, there always seemed to be this expectation that they would get photocopies of all we did and they were paying, but now I think I would certainly go for this approach. Hi Vedrana, thanks so much for the comment! That’s too bad, I would love to read your first posts! Or any post really, hmm? There hasn’t been one for a while, maybe a quick update? Actually, I don’t know if I’ll have the courage to re-read my old posts:-) I’m glad you like the book handing idea. As with everything, it isn’t universal, but works well with some students. And you’re so right about them just shoving photocopies at the back side of the notebook and never looking at them again. That’s why I encourage students to keep pretty and organised paper notebooks. Cheers! Thanks for the nudge. 🙂 True, there hasn’t been a post in ages. I _have_ been thinking about maybe doing something about it this weekend. About rereading old pieces of writing (posts included) – I don’t find that too stressful compared to reading something I’m supposed to have proofread and immediately spotting something I’ve overlooked. That’s the worst for me.